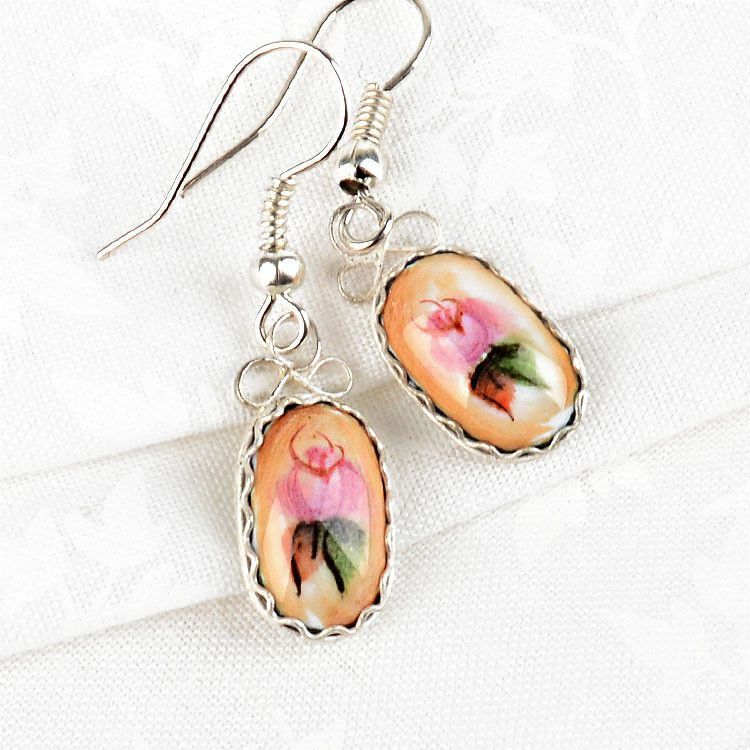 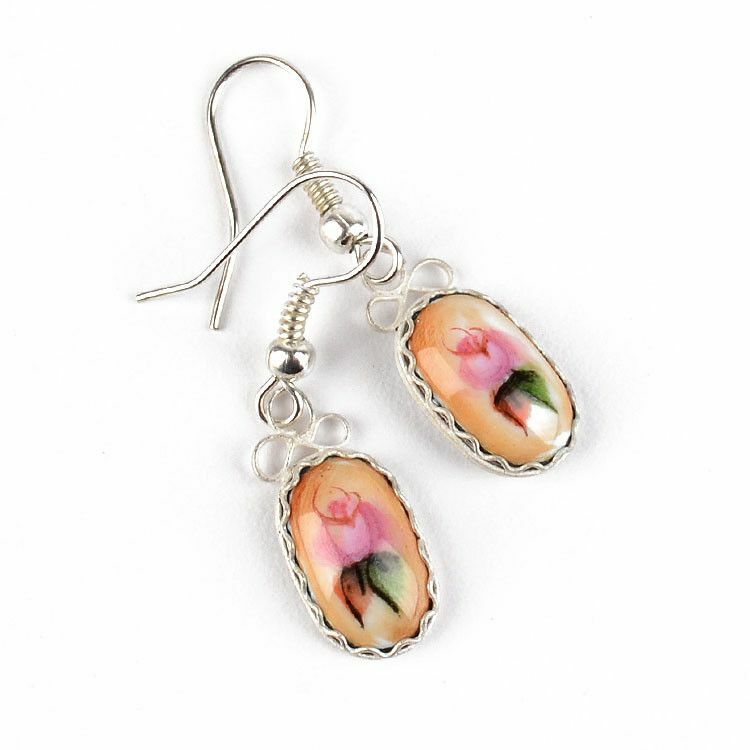 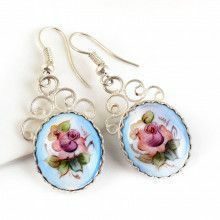 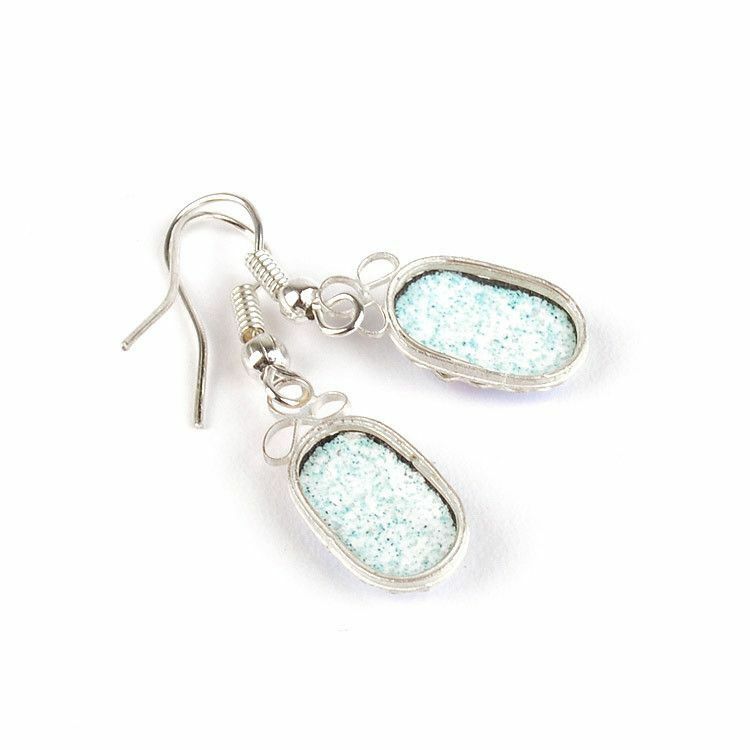 These small (1 1/2" long x 1/4" wide) Finift earrings were hand crafted in Russia using traditional Rostov Finift Enamel processes for making jewelry. 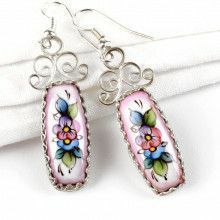 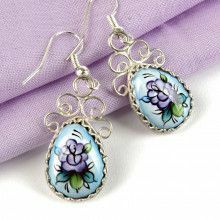 The earrings are outlined in German silver and have a decorative spring and ball on the simple hooks. 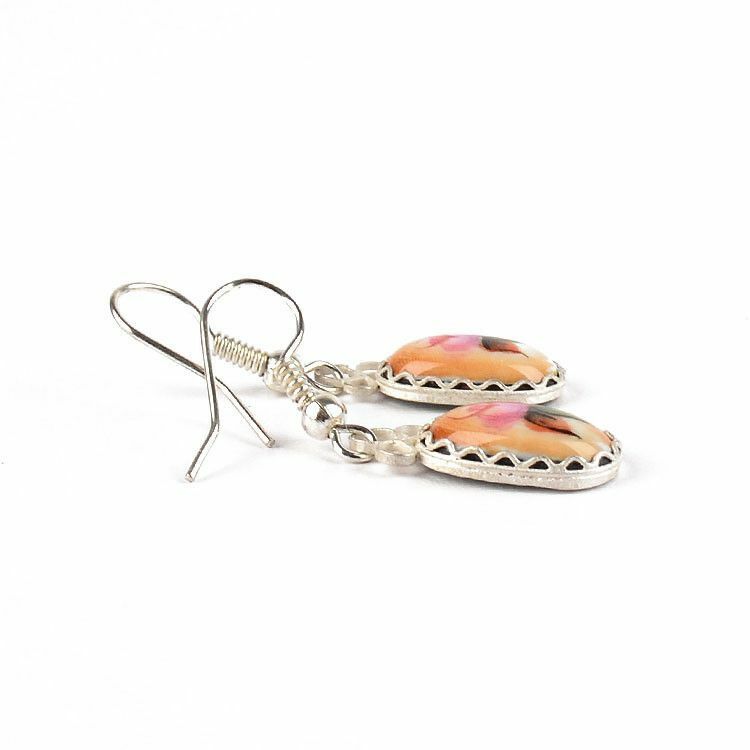 These lightweight earrings are great for everyday wear!